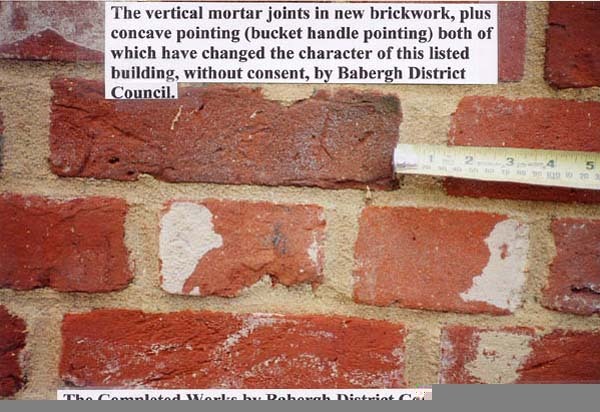 Detailed below are our comments to Babergh District Council highlighting our concerns regarding the substandard workmanship carried out at Sproughton Water Mill by Babergh District Council. 3. 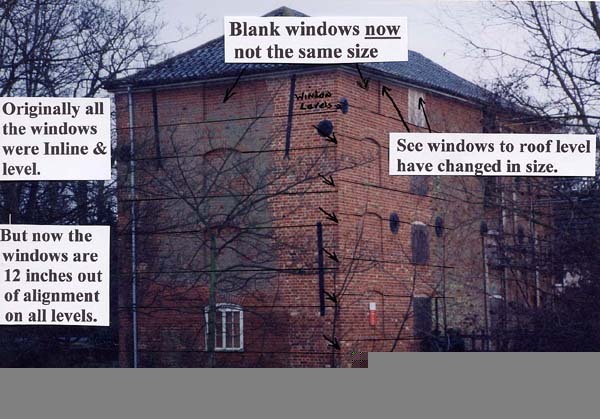 The size of the window & blank window on the top floor of the North elevation at East Gable end. These windows are now after your works, odd sizes, the blank window is now 38”high x 47”wide and the open window is 44”high x 47”wide. 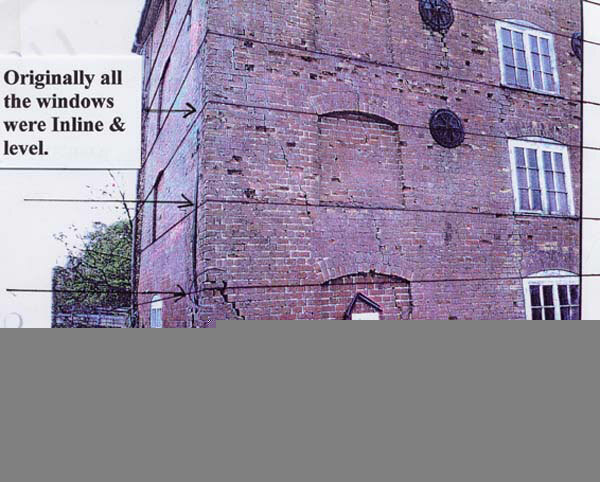 All windows and blank windows around the mill are 47”high x 47”wide, but you have now changed the character of the mill, now putting in an odd size window and blank window into what was a symmetrical mill, this standard of workmanship is totally unacceptable to us. 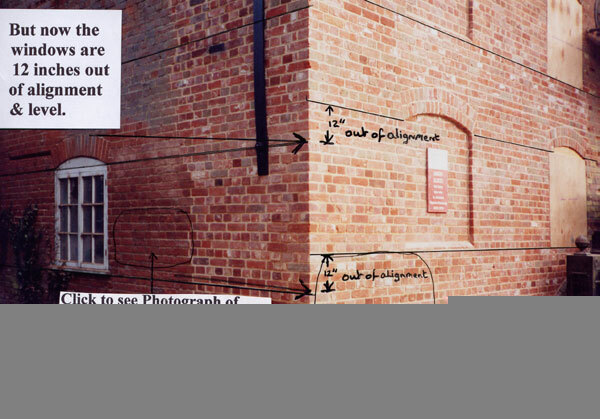 Below is the reply to us In Letter 27th February 1997 From Richard Ward, Senior Conservation Officer at Babergh District Council, who designed, supervised and approved these works, with Brian Morton of the Morton Partnership of Bethnal Green, London/Halesworth, Suffolk as Structural Engineer & Historical Buildings Specialists. 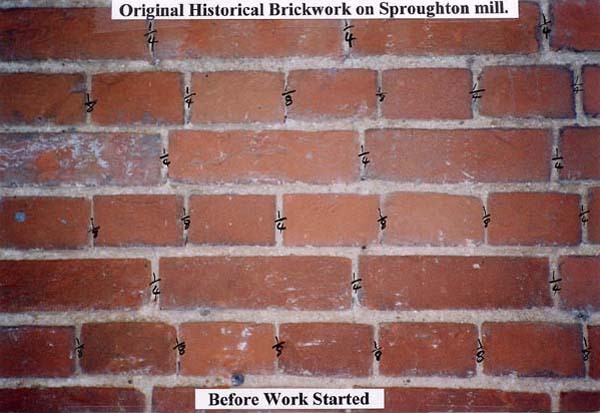 The Secretary of States independent surveyor and mills expert Mr J Kenneth Major of Reading who inspected the mill for the section 54 appeal, said in his report I Quote:- “I did not think that the alleged misalignment of the brickwork was noticeable”! (See for yourself above) What do you think ? And ask yourself how can a professional building expert employed by the Secretary of State say that, when everyone can clearly see the windows are 12” out of alignment on all levels, either he is blind or he’s being paid to say that to cover the backs of the council officers and experts who designed, supervised, and approved these appaling works ? 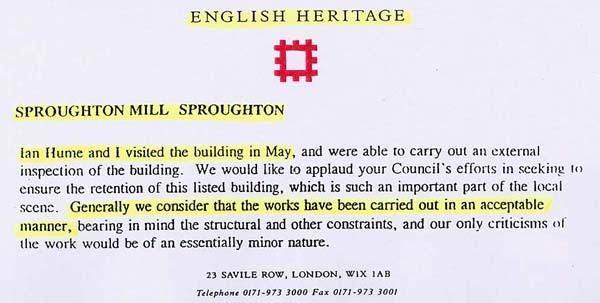 Quote from English Heritage: Letter 27th August 1997. 4. 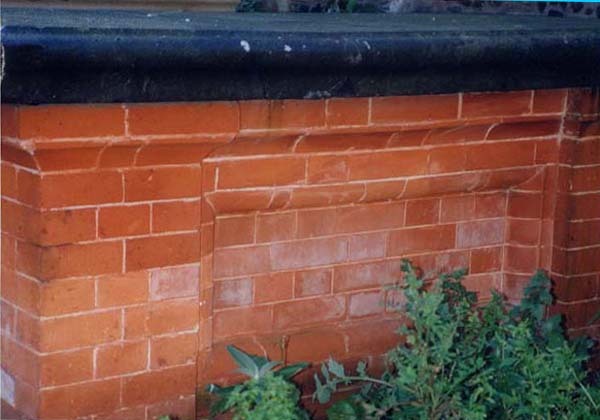 The vertical mortar joints in the new brickwork are too large and out of character with the existing English bond brickwork on this important listed building. 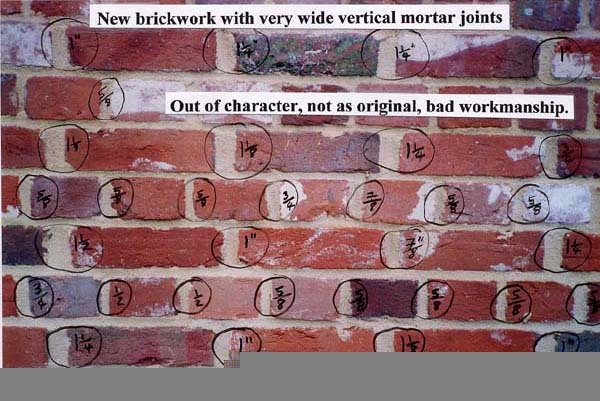 The vertical mortar joints should be between 1/8” to ¼” maximum wide, but the new brickwork is a lot wider, anything between 1” to 1½” wide vertical joints all over the new brickwork. The narrow vertical joints are part of the historical and architectural features of the mill in Flemish and English bond brickwork. Badly laid brickwork can significantly affect a look and the durability of the brickwork itself badly done it can damage the brickwork beyond repair and create a visually discordant effect and ruin the brickwork forever with the introduction of widened vertical mortar joints, it affects the appearance and the historical fabric of this mill, and this standard of workmanship is totally unacceptable to us. 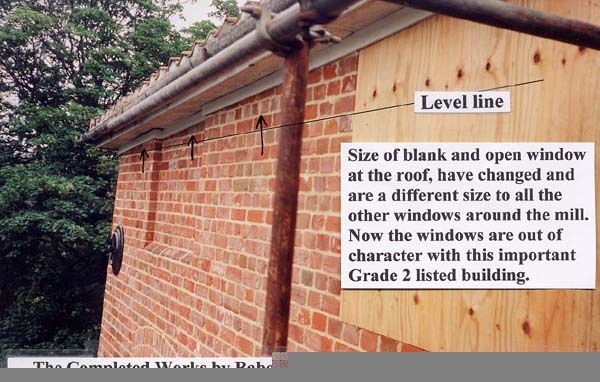 Below is the reply to us In Letter 27th February 1997 From Richard Ward, Senior Conservation Officer at Babergh District Council, who designed, supervised and approved these works, with Brian Morton of the Morton Partnership of Bethnal Green, London/Halesworth,Suffolk as Structural Engineer & Historical Buildings Specialists. The Secretary of State has stated in the Section 54 appeal and reports that the Quality of the building works are, I Quote:- “Irrelevant” & “the standard of the work carried was reasonable”! What do you think ? The Secretary of State has stated in the Section 54 appeal and reports that the Quality of the building works are, I Quote:- “Irrelevant” & “the standard of the work carried was reasonable” !!!!!!!! What do you think ? The photograph above is of a newly built grave tomb in the churchyard of St. Stephen’s Church in Ipswich. 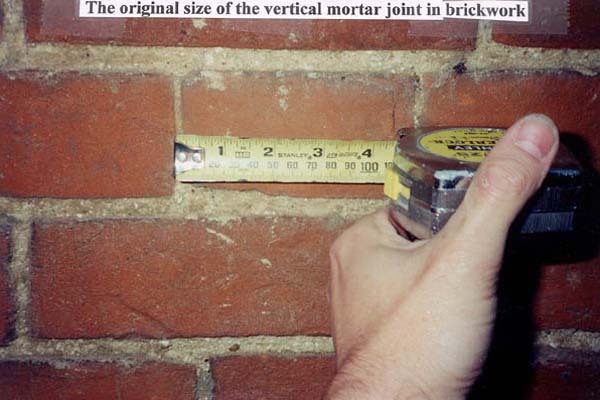 This was built in 1999 and clearly shows that with good quality supervision, using the correct lime and putty mortar and professional bricklayers, you can achieve narrow vertical mortar joints still today!